A review that brought tears to my eyes. I gave my book away for free on Netgalley this month, in the hope to get some honest reviews. Today, the day before the release of the Ebook, I received this review from Megan @ The Under the Cover Blog It brought tears to my eyes. It makes the marathon of writing a book worth it when you know there are people out there who will really get it. Thanks so much Megan, you made my day. Thank you to E.E. Bertram for providing me with a copy of this book in exchange for review! I’m not really sure where to begin with this review. This is one of the most unique books that I have ever read, and has left me in a state of absolute fascination and with a very large need for the second book. The waiting game for the sequel is going to be the longest and hardest wait I’ve had to experience for years, but I know it will be worth it! Follow along as I try to compose all of my thoughts about this masterpiece of a book into a review, or something like a review. November Fox follows, well, November Fox. She is an orphan turned rock star who one day receives a mysterious box that holds a teleporting cube named Joy. The note that comes with the box states that November has been invited to join the LOTNE, or Leaders of the New Earth, and that she is an Official Keeper of the Cube. Supposedly, November is part of a select few that have the key to unlock the mysteries of Form and has to pass Level One of the initiation in order to become part of the Collective. When she opens the box, a cube similar to a Rubik’s Cube shoots out and so begins an adventure through time and space that is unlike any other. Outside of November’s story, we have The Architect, a being that has been watching November since she was a baby. He’s not human, but rather a philosophical being that has created our World of Form. Finally, outside of both November and The Architect, we follow Erica, a grieving teacher and writer from London who has discovered a mysterious letter in a bottle that washed up on Brighton Beach. The letter turns out to be from The Architect, and is about his journey watching November’s journey through various realities. As she reads each page of the letter, more pages appear, and she soon finds herself wrapped up in the story of November just as The Architect has been since November was a baby. This is without a doubt the most unique and amazing book that I have read in many years. Not only does this book take you on a journey through time and space, but you also get to experience some of the things that November experiences with 39 amazing augmented reality illustrations. I’ve never seen a book include anything like this in a book, so that was definitely a fun little treat that the author included to really allow the reader to dive deeper into the worlds that November travels to. Not only that, but there is also music by November and her band that accompanies the book! It’s such an incredible addition and it’s clear that the author has gone to great lengths to bring this world to life in more ways than just a book. E.E. Bertram is not only an author, but also a musician, and it’s amazing to see what happens when you combine multiple medias to create something entirely new. The second I read the line “Things aren’t always as they seem, do we wake or do we dream?” in the synopsis, I knew that I was in for a treat. I just didn’t know how fast I would fall in love with everything about November and her world! November was such a multi-layered character, just like this book! She grew up in an orphanage and discovered at a young age that she was able to sing very well. When she got older, she became a singer in a band that, at the point in the book where the reader comes in, is on the last date of their year long world tour. She carries a lot of emotions with her, and constantly has to remind herself to “get it together, Fox.” With the past trauma of being abandoned as a baby, and the awful thing that happened when she was at the orphanage (spoilers, you’ll have to read the book to find out! ), she hasn’t had the easiest life. But when the mysterious cube shows up at her door, everything changes. She makes a new friend named Klaus, who she becomes instantly attached to, and travels to different dimensions learning things about herself and the world that will soon help her to change things for the better. November grows so much from the beginning to the end and it’s one of my favorite character developments that I’ve read about. When she first begins her journey, she’s very cautious and afraid, but determined to figure out just what she’s gotten into. Once she meets Klaus, she is excited to have a friend but is also terrified to be left alone again. As she progresses through the story, she gains more confidence in herself and what she is meant to do, and once she reaches the end, she is almost a completely different person. She’s stronger, more aware of the world around her, and wants to help shape the future into something good using all of the knowledge that she gained on her travels. As Klaus would say, “details are mattering.” November Fox is filled with beautiful and descriptive writing that allows for an incredibly remarkable reading experience. Even if you don’t use the Layar app to look at the augmented reality photos that are spread throughout the book, the writing alone is enough to keep you engaged and provide you with a one-of-a-kind story that is unlike any you will encounter. It’s difficult to explain just how fascinating the story of November is, so to help give you an idea of just how magnificent the writing is, take a look at some of my favorite quotes from the book! Not only is this book full of exceptional and comprehensive writing, but it also makes you think. 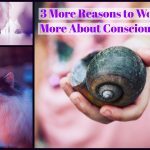 With all of the different realities that November travels to, and the lessons that she learns, it opens the door for some very out of the box thinking from the reader. Not only are you reading November’s story, but you’re also reading about The Architect who is from an entirely different reality and is constantly thinking about how he could be connected to November’s world despite not being in her world. There are several instances where The Architect tries to help November and communicate with her in his own way, and things happen in November’s world that he believes he caused. One of my favorite quotes from The Architect is, “What if I only live because November does? And is it possible she only exists because I do? Does my observation of her summon her into reality?” This is a quote that really made me think about the possibility of other worlds, and how they are all connected. 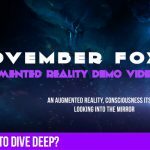 Throughout November Fox, you will encounter a multitude of quotes and thoughts that prompt the reader to think about more than just the space around them and the world they live in. Do the smallest of actions (such as a butterfly flapping its wings) really have a larger impact (the flapping of the wings of the butterfly causes a tornado) on the future, like the Butterfly Effect suggests? With each new character that November meets, a new idea and way of thinking is introduced. Not only are you reading about November and her travels, but also how she impacts people (or rather a philosophical being in regards to The Architect) that she’s never met as well as the world around her. This book introduces so many extraordinary ideas that I never expected to encounter in my reading, and it’s such an incomparable adventure that is sure to be raved about for years to come. 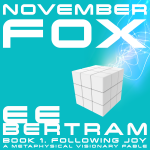 November Fox is a story unlike any that has ever been released. 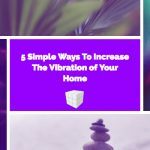 It involves multiple media elements which allows for a reading experience that is deeper and more involved than a large majority of the books that are released. 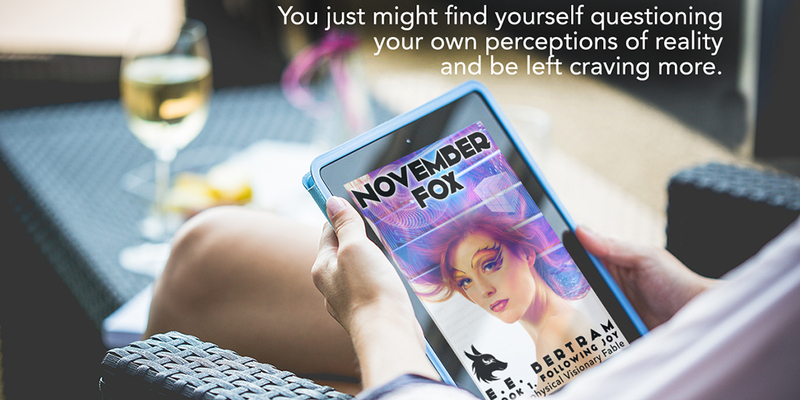 With charming characters that you’re sure to fall in love with, writing that will draw you in and leave you breathless, and a story that takes a step outside of the norm to explore the unknown, November Fox is an instant hit for fans of all ages. Be sure to pick it up when it releases on 01 November 2016!